One Cabinet Minister was stopped at the airport, as he prepared to depart for Brazil! His passport was taken, preventing departure! Hopefully, he will be arrested today! Was he fleeing to asylum in Brazil?? Rumours see other Ministers involved including Finance, Interior, Commerce, Plantification, Affaires Sociales and Education, along with some Deputies, Senators, Secretaries General and Directors General. A real cross-section of corruption, if true. Expose the Truth so the guilty are pursued and the innocent cleared. There was a lot of smoke and mirrors as a couple of the guilty tried to dance around the Truth and the truth is these criminals were taking $38.00 USD, per SCHOOL KIT, from our meager treasury. The planned charge of $17.00 per unit was already robbery. This is almost as bad as the Preval team’s purchase of Time Expired Emergency Kits, in the Dominican Republic, for $2.50 per unit and then charging our government $38.00. Over $35,000,000 was made from this crime against our society. These people are just common scum in expensive suits, driving expensive cars provided by the State. Time for them to be arrested and locked up with the general prison population, without any special favors and without cell phones. Tell their fellow prisoners what they have done and let simple Justice take its course. 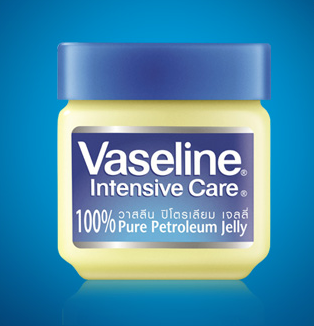 Throw a jar of Vaseline into the cage as an act of kindness! This crime is the perfect situation for President Moise to react. Those who are supposed to care about our childrens’ future are willing o steal this future, from our children, and the Nation. Remember, many of these same people stole millions from PSUGO through the creation of false schools and expanded billing. LET US SEE PRESIDENT MOISE MOVE SWIFTLY TO SEEK JUSTICE. LOCK THESE GUYS UP UNTIL TRIAL AND HAVE NO MERCY. SEIZE THEIR PERSONAL POSSESSIONS AND REAL ESTATE. LIKE CHANGING DIRTY SOCKS – TIME FOR OUR PRESIDENT JOVENEL MOISE TO CHANGE MANY OF HIS SMELLY CABINET MINISTERS, REPLACING THEM WITH PEOPLE LOYAL TO HIM AND THE NATION. NOW IS THE TIME FOR PRESIDENT MOISE TO SELECT HIS OWN CABINET AND GET ON WITH BUSINESS. THESE CRIMINALS WILL ENJOY THEIR NEW ACCOMODATION AND ROOM-MATES. We are still awaiting Jovenel’s action. Will he miss this special opportunity? Or is he involved also? Rid us of the Ministre, Sec Gens and DGs forced upon us by senate and deputies. Accusé de corruption le ministre des Affaires Sociales et du Travail, Roosevelt Bellevue a été révoqué à la tête du MAST. Par un arrêté portant la signature du Premier ministre, Jack Guy Lafontant, lit-on dans son article 1er, le citoyen Jack Guy Lafontant est nommé Ministre a.i des Affaires Sociales et du Travail. This money could not be stolen without others being complicit. When will a governement follow through with arrestations? Jovenel Moise is not going to do much about the situation because he is as corrupt as those scumbags. As a matter of fact, he is the lead singer and choreographer of the corruption band. What about Bellerive “Slick Willie” Bill and crooked Hillary Clinton they also ripped off Haiti?